Our local candidates in Redland and Logan Cities who have retained and won seats in the recent Federal Election are to be congratulated. We now have an incoming Government with a commitment to economic stimulation and that is a welcome boost for the region and provides local industries with confidence to invest in the future. A review of the voting at the polling booths closest to the Mount Cotton Quarry Extension Project suggests extremely strong support for projects such as this. 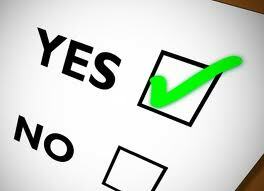 At the 4 closest polling booths to the Quarry extension project it is clear that the LNP agenda which includes economic growth was strongly preferred by the community. Of the 41 booths in Forde the two closest booths the Mount Cotton Quarry Extension Project at Cornubia and Carbrook recorded the highest and second highest two candidate preferred results for the LNP both recording over 67% support for the LNP. In Bowman the booths of Mount Cotton and Redland Bay South the LNP were similarly strongly preferred. A clear message in the vote. The Greens candidate for Bowman Penny Allman-Payne ran an active campaign against the Quarry Extension Project but polling results showed a corresponding strong swing against her. We sent all Federal candidates information about the project and received some positive feedback but we heard nothing from The Greens candidate who chose to listen to misinformation that is being distributed by a small local action group. As a result Penny actively denounced the project through the use of social media. We just wish she had taken the time to accept our invitation to visit the site and see for herself the environmental benefits that will flow from this project. Based on these results I think that the QLD State Government can conclude that the local community around the Mount Cotton Quarry extension project strongly support the LNP’s policies and should have confidence that Minister Seeney’s intervention into the questionable decision made by Redland Councillors will be well supported by the local community. The new Governments focus on reducing green tape and red tape is an indication that they understand that industry generates and creates the ecological solutions needed…not protestors. 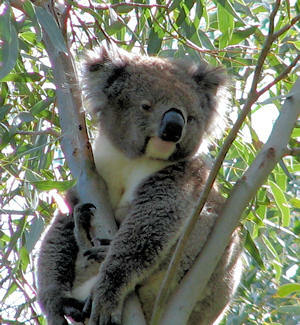 Barro Group concurs with the recent call from the CEO of the Australian Koala Foundation for the decision about the Mount Cotton extension project to be made on the basis of good science rather than politics. Politics has got in the way of this important project for far too long and we now confident that a call in and assessment by the Minister on the basis of good science will unlock the substantial environmental, employment and economic benefits that are available to flow to the local community. We need to remove the influence of minority groups claiming to represent the community who assert political influence those Local and State members who are not fully informed about the project by distribution misinformation and conducting protest rallies waiving corflute signs. History tells us that many of the successful environmental solutions for the future have grown out of industry, not from protest groups. The motor vehicle industry, power industries, agri-business and in our case our approach to 21st century partnership quarrying are all tangible demonstrations of where industry is now heading and the new Government wants to foster that, not beat industry over the head and drive the economy to a stand-still. Obviously the community’s commitment to a strong and sustainable future has been stated. There is a growing recognition to the reality that most industry will readily accept a position from its community and work with them for wide and inclusive benefit and the future. Mr Ridoutt says Barro Group expects that the Minister will make a decision to call in the project by September 27th. Over its 50 year life we will see an injection to the local community of over 400 million dollars, excluding Government fees and charges. The figure includes $15 million expected to be pumped into local businesses immediately when construction on the 21st century processing plant commences. Environmentally the project that will set a new bench mark.